Mr. Allan Gates currently practices in the areas of environmental, environmental & toxic tort, and commercial litigation. 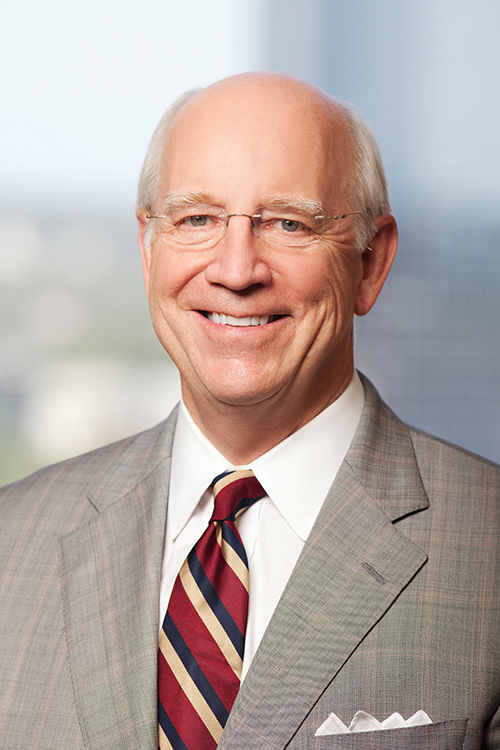 He is counsel to private parties, public interest groups, and trade associations in non-environmental regulatory matters and appears regularly before state agencies, including Arkansas Department of Environmental Quality and Arkansas Pollution Control and Ecology Commission. Mr. Gates also serves as defense counsel in hazardous waste and Superfund actions before state agencies, EPA, and in state and federal court. Counsel in air pollution, water pollution, toxic tort, wetlands, environmental impact statement and coastal management disputes and litigation. Counsel for applicants for hazardous waste permits and closure plans, pesticide registrations, water, air, and solid waste permits. Counsel for affected parties in state and federal rulemaking and adjudicatory proceedings under air, water, solid waste, hazardous waste, and toxic substance control legislation. Mitchell Williams Attorney Allan Gates Served As 2019 Environmental Law Conference Faculty - Presented "The Clean Water Act: Water Quality, Water Resources, and Wetlands Under the Microscope" in Washington, D.C.
Mitchell Williams Attorney Allan Gates Served as Faculty at the Environmental Law Institute's 27th Annual Eastern Boot Camp on Environmental Law - Presented on Clean Water Act in Washington, D.C.